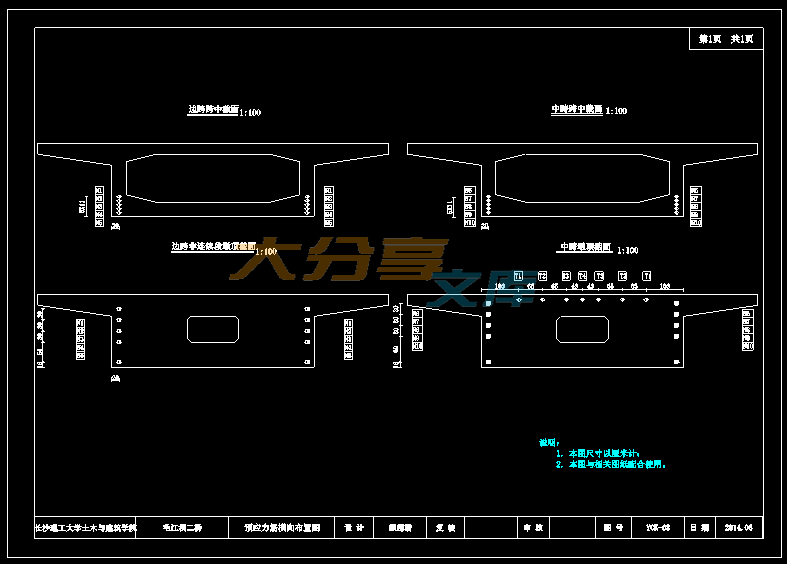 This is for the construction drawing design of the Second Maojiang Dam Bridge. According to the design data and requirement provided by design task and the General Code for Design of Highway Bridge and Culverts, combining with the principles of safety, applicability, economy and esthetics, together with the standards of advanced building techniques, the sustainable development, the bridge program is designed as: 4×35m uniform prestressed concrete box beam bridge. The width of the bridge floor is 9.5m，with the net width of 8.5m plus the width of the two guards against hits the guard rail of 0.5m.The bridge is constructed with the method of full framing. 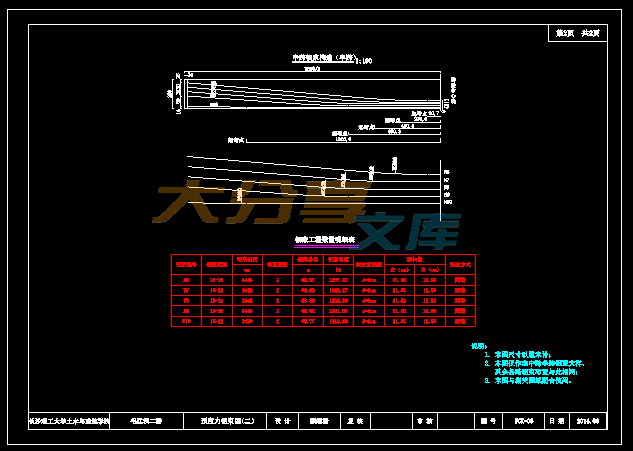 In the design ,the Midas software was used to calculate the internal force and internal force combination, the prestressed reinforcement estimates and configuration ,the check of the section strength, the check of the section stress, the check of deflection component. 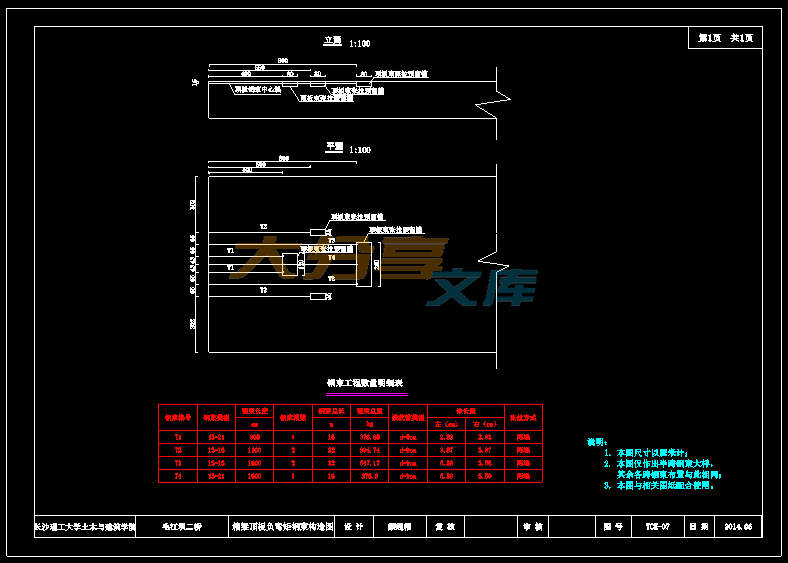 The checking results show that the design is reasonable, the various performance of the bridge can meet the requirements during the design working life.